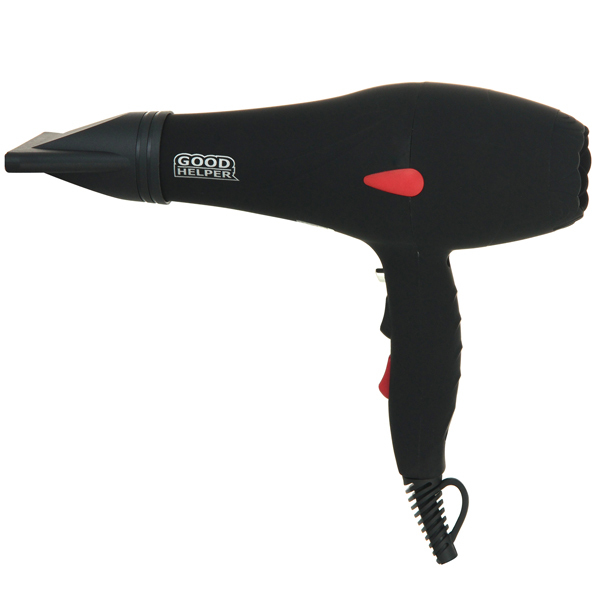 Hair dryer GOODHELPER HD-2022 is a professional full-size item made in a black-and-gold plastic cabinet. 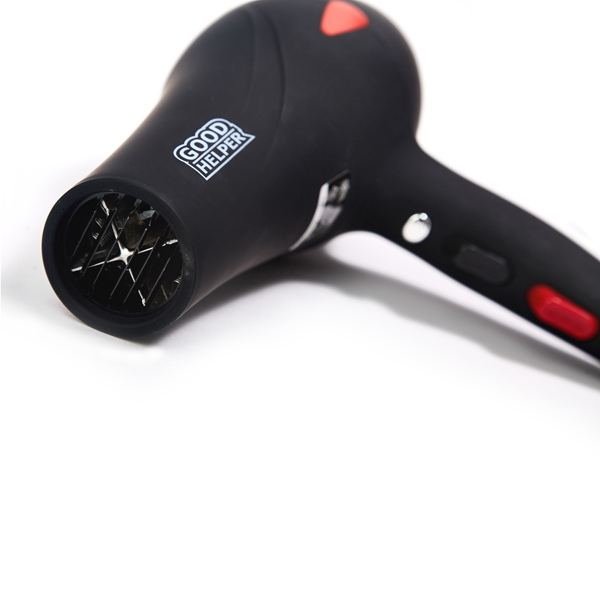 It is a good device for tender and safe hair drying and hairdressing of any kind of hair. This item has professional AC fan motor with powerful speed airflow, 2000 W max heating power, 3 heating modes (0 / 50% / 100% heating) and two fan speeds. Two separate controls (fan control and heating control) allow big choice of heating/fan speed modes. In addition item has a special button for “cool shot” function. Special overheating protection that avoids its extra heating makes using of this item very safe. 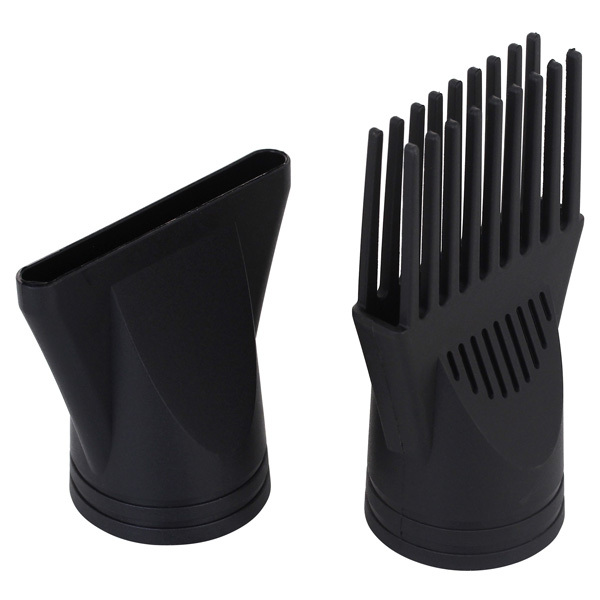 Hair dryer has two accessories: common concentrator and comb concentrator. Hanging loop on the edge of handle allows its easy storage on any hanging hook near the mirror. A thin protection grid that prevents contact of hair and dust to a fan and heating element of item covers air inlet. Special rubberized “soft-touch” handle surface makes using of this item extremely pleasant.